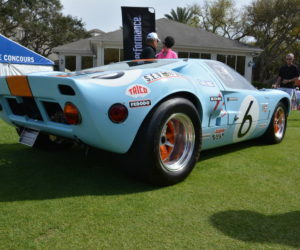 Even at an event like Amelia Island, where you see thousands of cars that eclipse the million-dollar mark, you’ll still walk away with a handful of favorites that really struck you — and they’re not always event headliners. One car that I could not get over throughout the week was crude 1950s aluminum-bodied sports car offered by Hollywood Wheels. 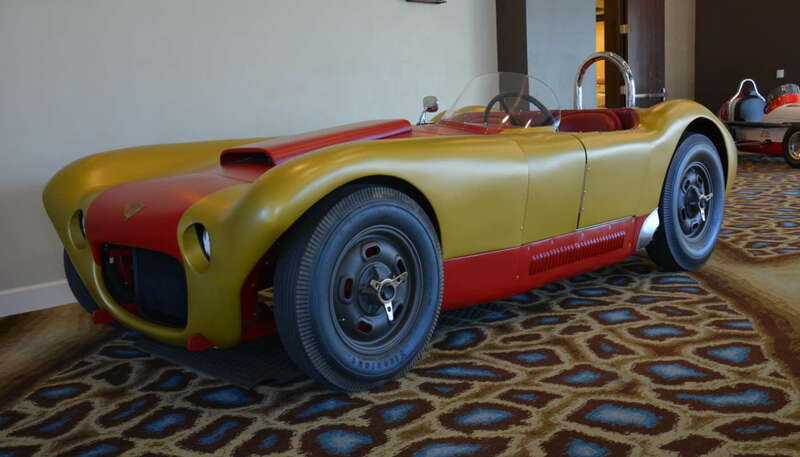 The 1956 Wright Special is a “special” in every sense of the word. The car looked unlike anything else I saw that weekend, and has lived through multiple iterations and lives. 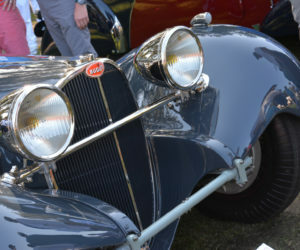 The earliest parts of the Wright stated out as a pre-war Maserati Indy 500 car. It caught the eye of a man named Gene Kopecky in 1952, and he subsequently modified it to accept an early Chrysler FirePower HEMI engine. 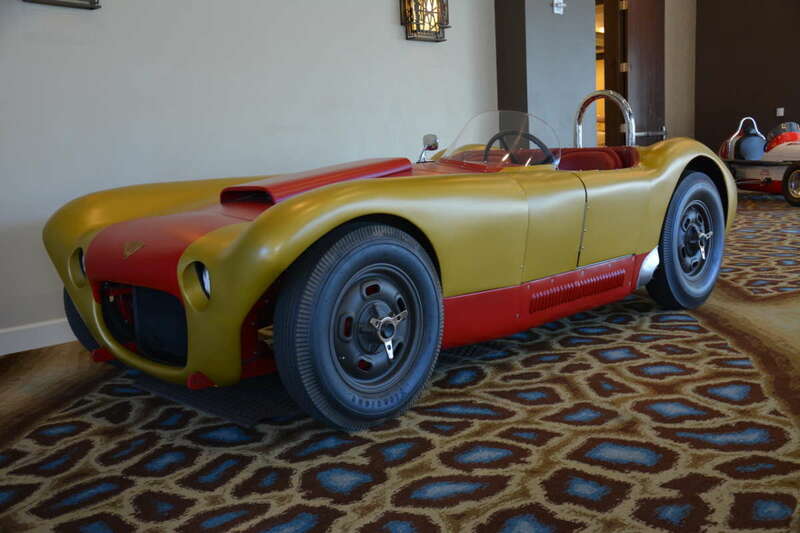 Since the car looks unlike any Indy car of the day, it appears that the car was also rebodied at the time in aluminum. 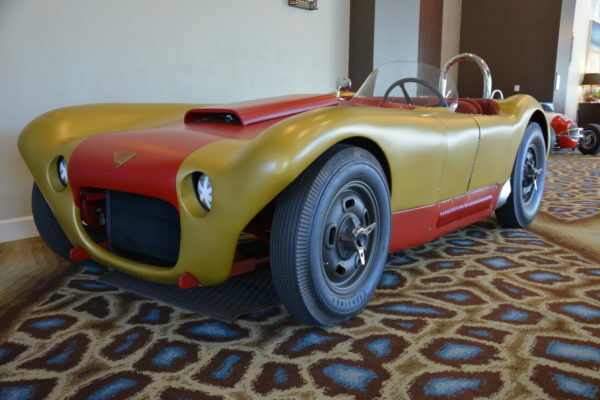 It’s said that Kopecky was unsuccessful with the car, whatever his racing efforts included, but the car was eye-catching enough to be featured on the advertisements for the 1954 Torrey Pines race. Soon after in ’54, the car was purchased by the man whose name it now bears, Johnny Wright. Wright set about rebuilding the car, hiring qualified people to tackle or oversee the important parts of the build. 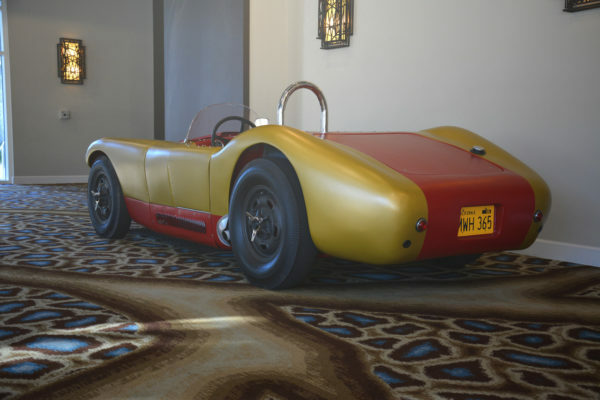 A master chassis builder by the name of Jim Culbert of CAE Automotive constructed an all-new chassis for the car that was based on 3-inch main rails. 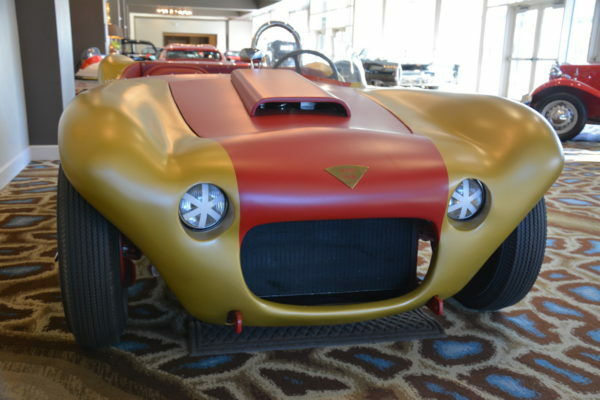 It’s said that the material was sourced by none other than Carroll Shelby, and that the project likely inspired the coming Shelby Cobra. 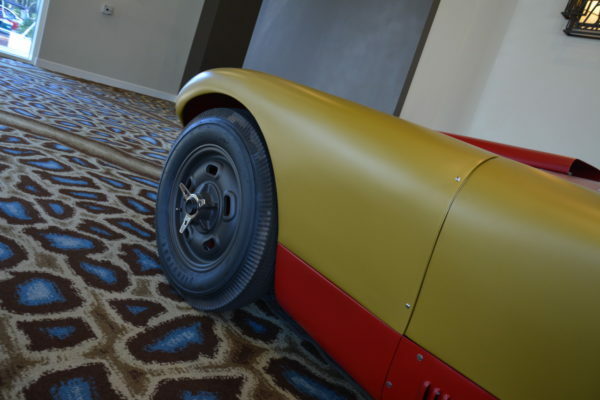 Speculations aside, the chassis was quite far ahead of its time and very rigid. From there, the car was taken to the shop of Dean Meltzer for body modifications. 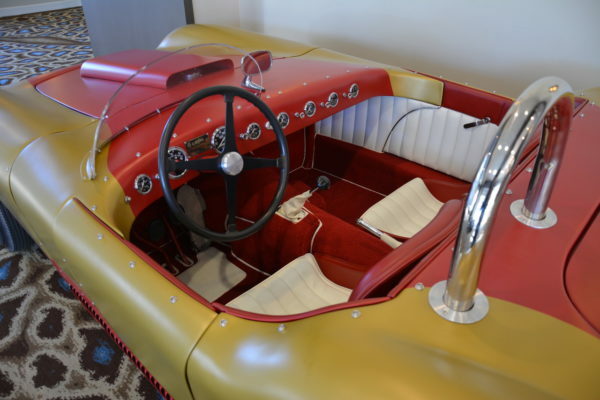 He also installed a modified Lincoln flathead into the car, finishing the project in 1956. 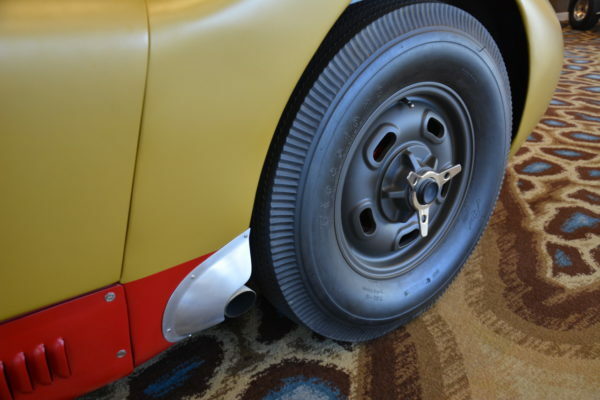 Soon after though, Wright acquired a new ’56 Chevrolet 265 ci with the Corvette’s dual four-barrel setup, and the car became one of the first Corvette-powered specials. With roughly 225 hp on tap, Wright improved on his dry lake top speeds exceptionally, up from 93 mph to 136 mph. The new dual-quad Corvette engine improved performance so drastically, that Wright tried it again when the new 283 ci engine came out. 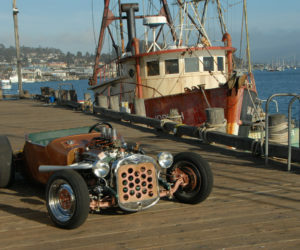 But this time, the engine was heavily modified with a custom crank, rods and six Stromberg carburetors. The new 331 ci mill made over 350 hp, and pushed the Wright Special up over 143 mph at El Mirage dry lake in June of 1957. 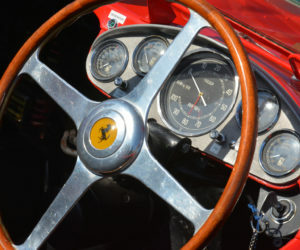 The car also hit 115 mph at a 1/4-mile event in 1959, a performance that’s still impressive by today’s standards. 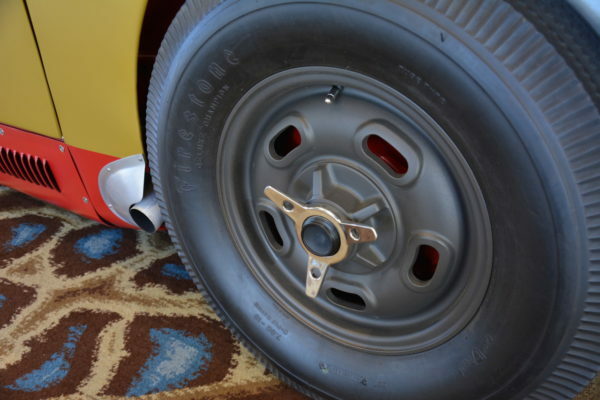 Today, the car wears a meticulous restoration that accurately reflects the car as it appeared in its 1960 Hot Rod magazine feature. Consigned at the Hollywood Wheels auction at Amelia Island 2019, the car was estimated to be worth $300,000 to $350,000, but went unsold. 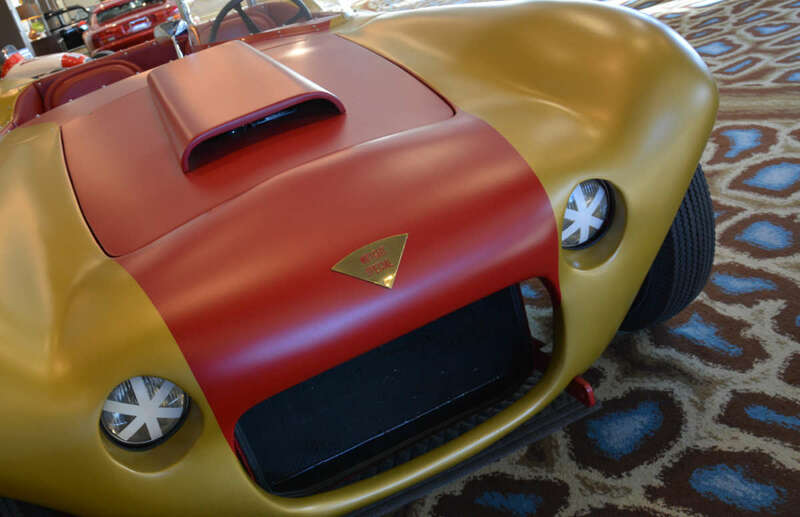 For its crude looks and unmistakable shape, the Wright Special instantly struck me as one of the most unique cars I saw at Amelia Island in 2019. 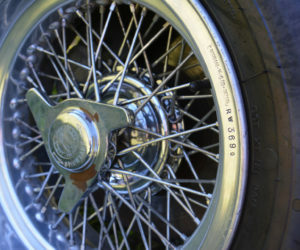 See the Wright Special here on the Hollywood Wheels website.